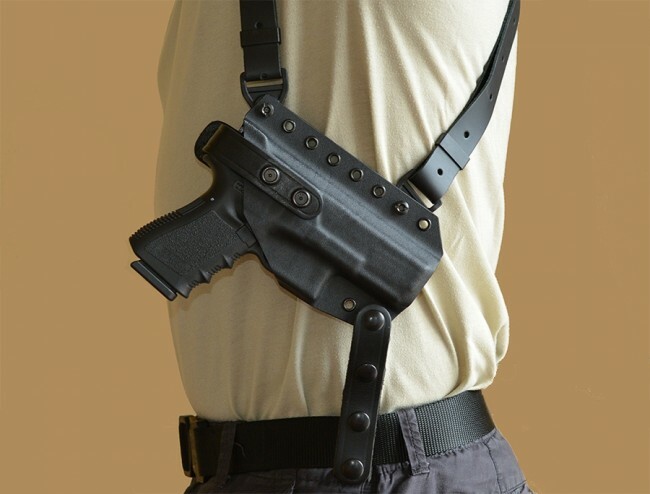 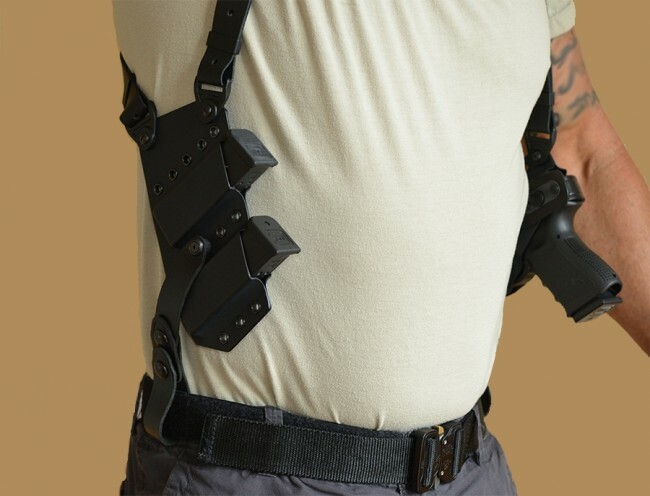 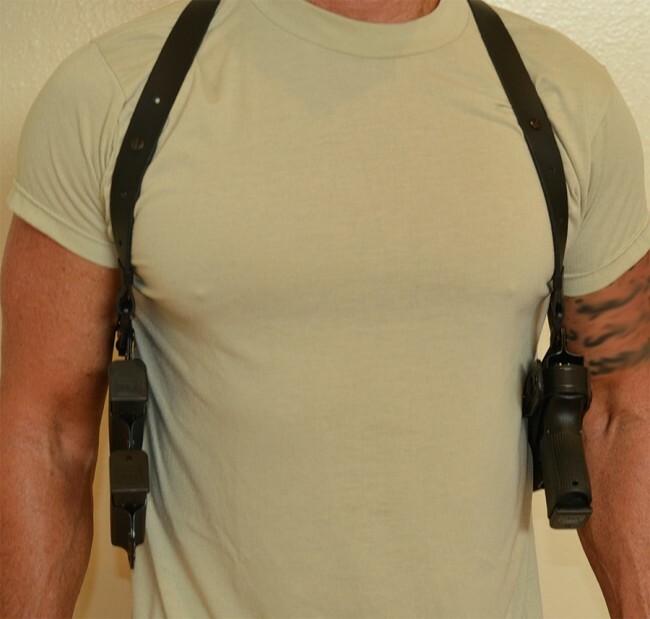 Low profile Kydex shoulder holster and magazine carrier. 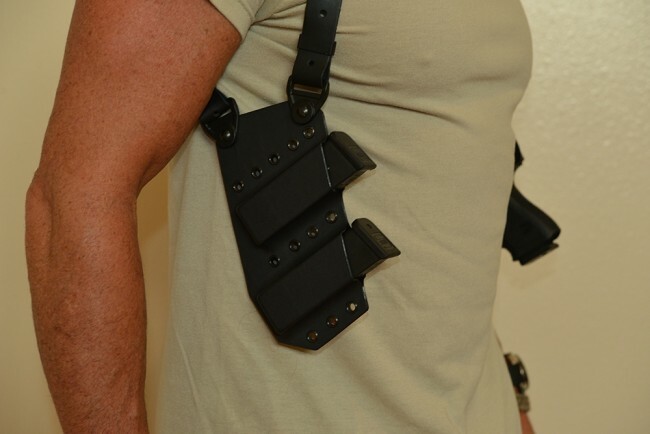 Slim pancake design for both the holster and the magazine carrier. 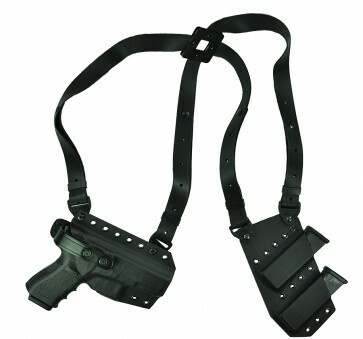 Leather straps for comfort and reliability as well as close to the body contouring. 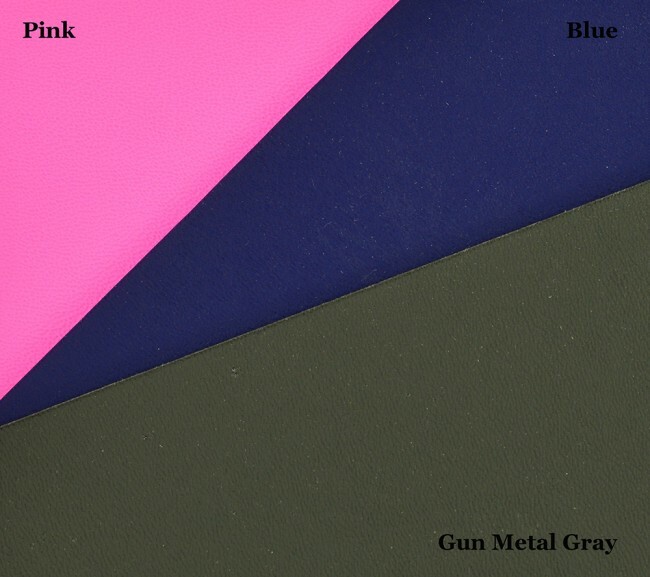 Six popular colors to choose from. 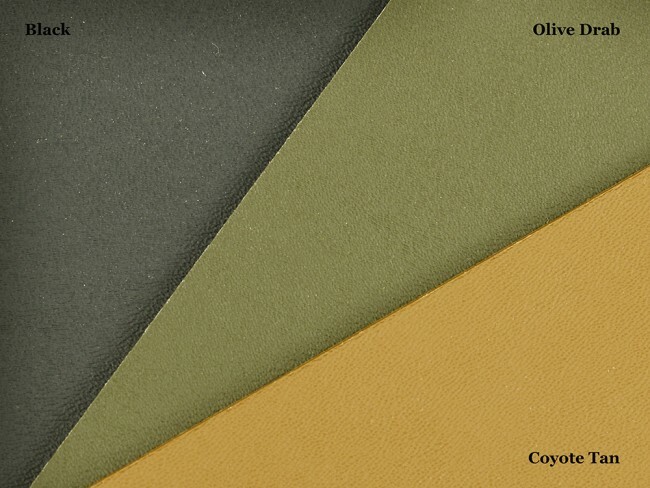 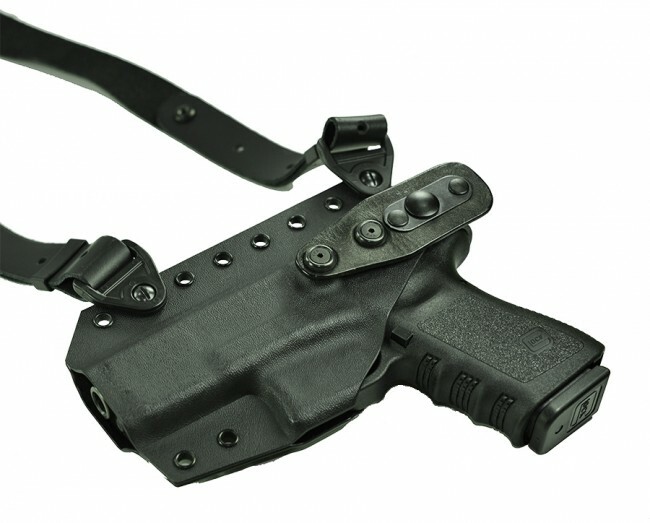 Custom made and virtually maintenance-free Kydex®, The Equalizer is comfortable, thin and easy to conceal. 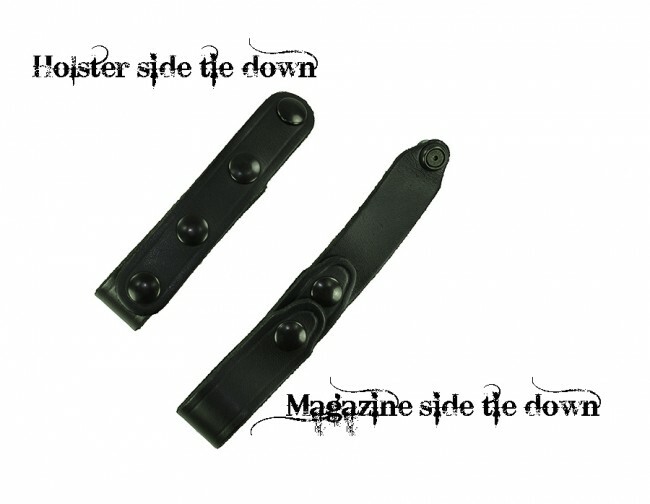 The smooth low friction surface with thumb break allows for an easy draw. 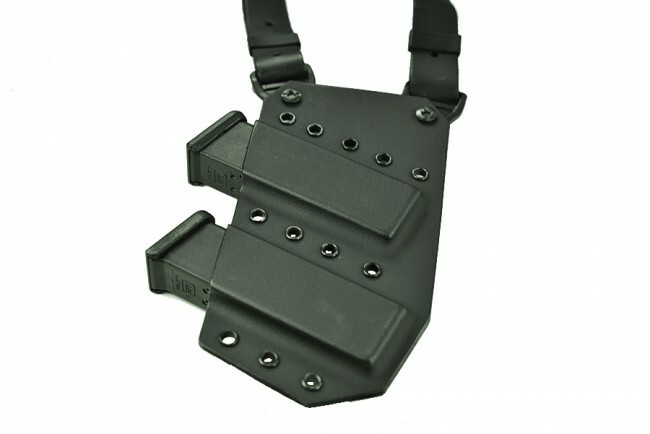 The friction fit magazine carrier holds the magazines tightly but still offers ease of reloading your firearm. 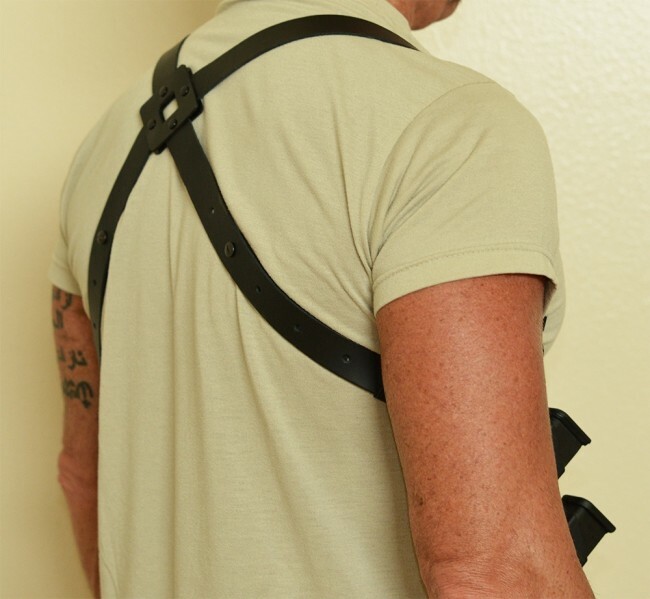 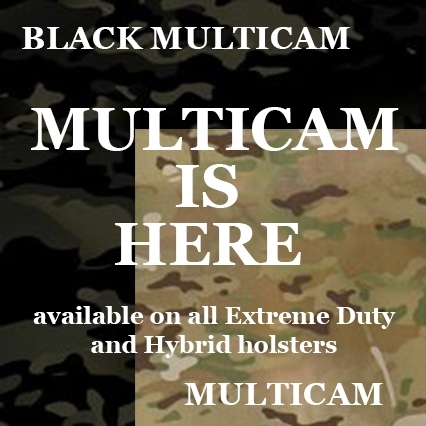 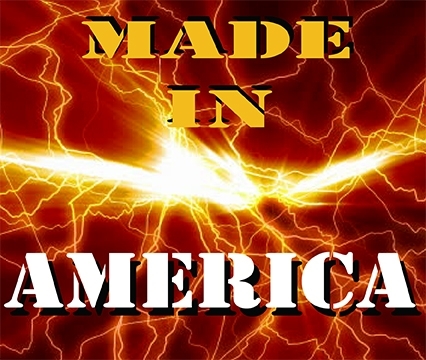 The Equalizer Kydex shoulder rig is proudly handmade in the U.S.A.! 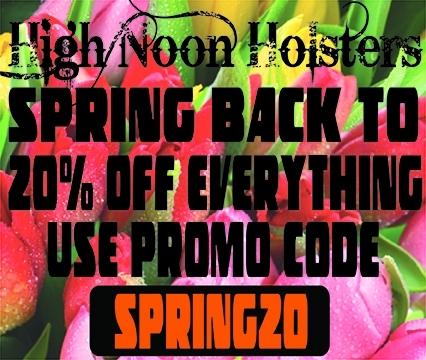 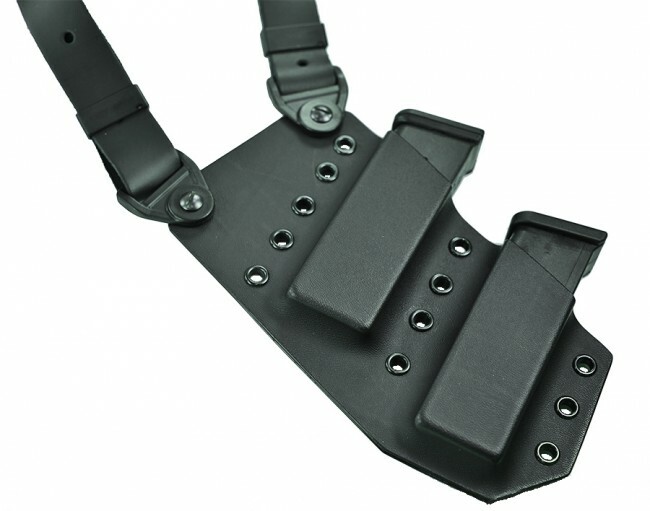 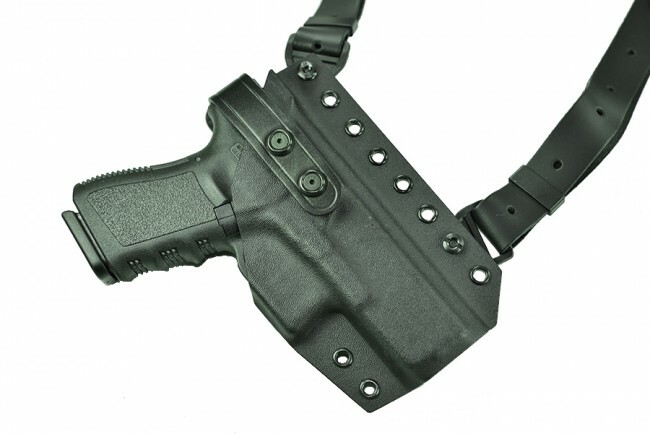 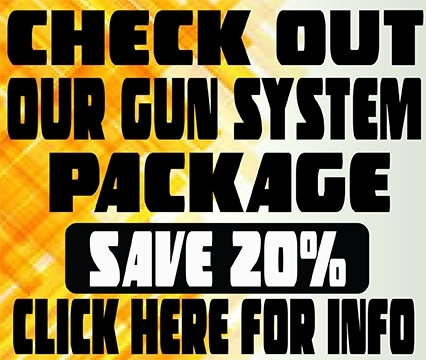 The Equalizer also offers the option of tie downs for the holster side, the magazine carrier side or both sides.